Abi Morgan’s shrewd, charming and sometimes trippy detective series, set in the built-up concrete jungle of east London, did something genuinely new...Rather than focusing just on the procedure or the home lives of the cops, Morgan has found a third layer, somewhere between the two, which allows for an element of puzzle-solving while a tide of emotion pulls you along through six intense hours of what almost feels like therapy. 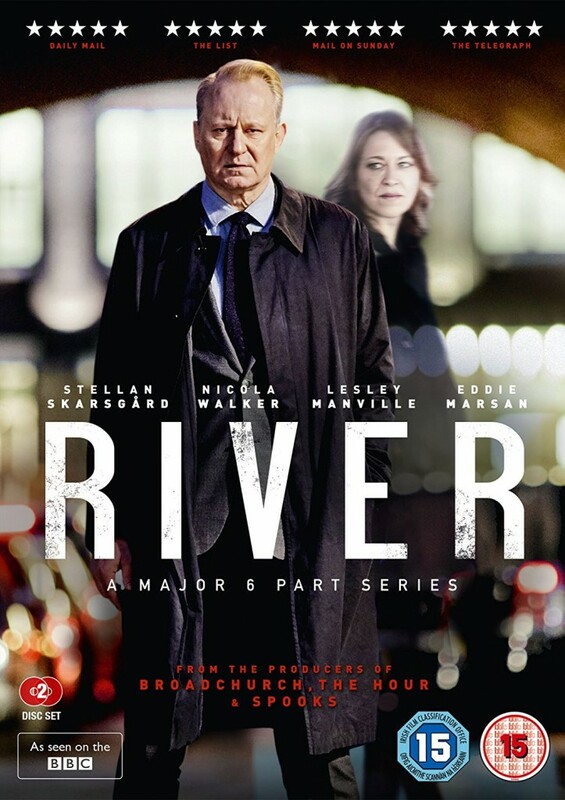 Creepy yet ultimately uplifting, River stands as one of the year’s best home-grown TV dramas. If it was Scandinavian like its star, the box-set brigade would be falling over themselves to heap praise upon it. The fact that it was British-made shouldn’t mean we overlook its brilliance. As this climax reminded us, close to home is often the answer. River, a terrific six-part series. The title character, John River, is a brooder with a superpower: He sees dead people. That might sound hokey, but this series, created and written by Abi Morgan, is anything but that, growing deeper, darker and more intricate with each episode. The show’s premise could easily have made this a silly enterprise, but with Mr. Skarsgard’s tight performance anchoring things, it instead is a first-rate psychological study. Sometimes River just seems crazy; at others, it seems possible he has ascended to a higher level of mental acuity, using the voices of the dead to tell his conscious mind things that he subconsciously knows already. It’s more than just crime drama – it’s about personal tragedy, demons; it’s a study of loss and grief. It’s also a study of killing and why people do it. And Abi Morgan, the creator of the series, brings a characteristic humanness to it all; it’s as much about who the people are as about what they do to each other. Good enough for me.